Many people take fish oil capsules on their own or under doctor's orders because of research indicating the supplement can help promote a healthy heart. Unfortunately, fish oil capsules can leave behind a fishy aftertaste in some people, and others are bothered by fishy-tasting burps. Supplement manufacturers have responded by giving some fish oil capsules an enteric coating that helps to stop the unpleasant side effects. The omega-3 fatty acids in fish oil may help to lower high triglyceride levels and high blood pressure and help to ward off heart attack and heart disease in some people. However, there may be a price to pay in gastrointestinal distress. The capsules can cause gas, bloating and diarrhea in some individuals, in addition to belching and fishy aftertaste. Freezing the capsules or taking fish oil with meals may help to minimize some of the problems, and taking time-release capsules may help, too. Enteric coatings are used on fish oil supplements to delay the point at which the fish oil is digested. Siobhan DeLancey of the U.S. Food and Drug Administration says enteric coatings help a product maintain its integrity through the stomach so that it can be absorbed in the gut. It's a good coating for products, such as aspirin, that can cause gastric upset or for products that are best absorbed in the less acidic area of the intestine. The FDA's DeLancey explains that the problem with enteric coatings is that they can prevent the uptake of supplements and medications that are best absorbed through the stomach. According to DeLancey, most of the studies the FDA is aware of indicate that fish oil is best absorbed in the stomach rather than the gut. The enteric coatings are used in fish oil supplements to delay digestion of the pills to help combat problems with a fishy aftertaste or fishy burps. Capsules with the enteric coatings also may cost more. Enteric coatings can be made from polymers and polysaccharides. DeLancey notes that reactions to these products are rare, and they are not classified as known allergens. 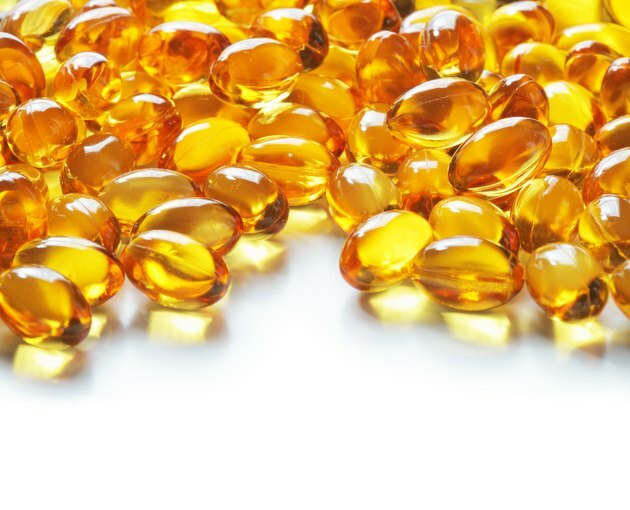 There are some claims on the Internet that enteric coatings also may be used to help disguise rancid fish oil, but the FDA is not aware of the use of coatings for that purpose. Can Fish Oil Capsules Irritate the Stomach? Can Charcoal Tablets Help the Stomach Stay Flat?